...Or maybe just a resurgence of Zombies? I count a dozen Z-films in there and I'm sure I missed some (direct to video releases for example). Other apocalypses get some big budget treatments. Is that more or less than other decades? My Google-hunting to bring these titles together has limitations. I don't have a good sense of how strong these themes are in non-English language and non-Western science fiction and fantasy. I only have a couple on this list. I've seen French and Russian authors, but I want to know how these tropes are used elsewhere. That's a lot of anime (and I know I missed some manga in there). Is that number reflective of the theme being used more, higher production levels, or better distribution? HEY! I have a Patreon campaign supporting these lists. If you like what I'm doing, consider contributing or at least resharing this to spread the word. To keep this list easy to read I’ve tightened the years covered. As we get closer to the present the lists expand and contract weirdly. I include mostly core books, but also significant setting material or sourcebooks. I consolidate “spin-off” and miscellaneous supplements into a single entry. For example at the end you'll see round-up entries with post-apocalyptic elements. Given the number of great things published I haven't included everything I want. I try to list revised editions which significantly change a line or present a milestone. Generally I only include published material- print or electronic. I skip freebie or self-published games. I'm sure I've left something off without adequate reason; feel free to add a comment about a line I missed (if published in 2011). I've arranged these by year and then alphabetically within that year. I've got a number of electronic-only, self-pub games lumped at the end, but I want to call this one out. 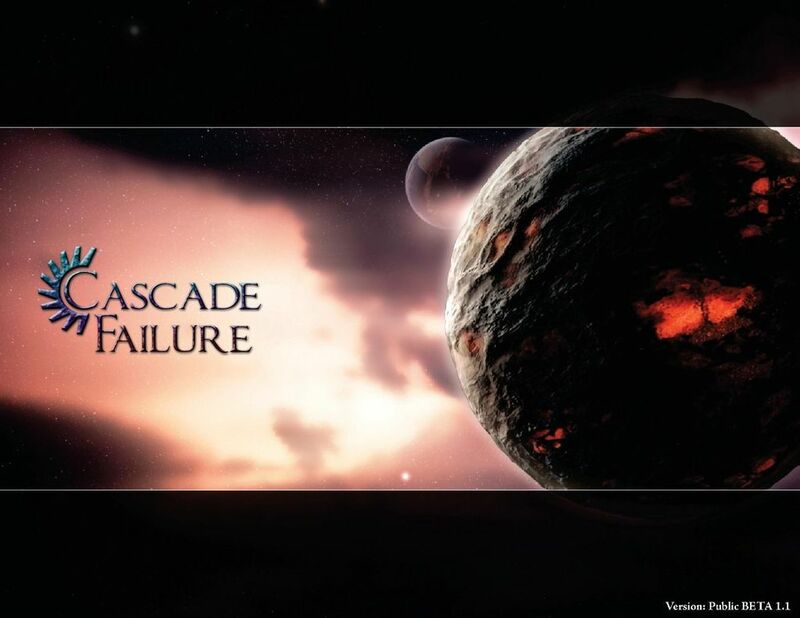 Cascade Failure presents a stand-alone and complete rpg. A future interstellar society has been rocked by a massive war. Though brief, that war killed off great numbers and more importantly destroyed most of the societal infrastructure. That destruction has had a ripple effect- the cascade failure of the title. Transport and communications collapsed, trade and commerce halted, and societies dependent on resources from those systems crashed as well, setting off further chains. In the end 95% of all humans and 60+% of alien species died in the fallout from the great War. Remaining planetary societies decay and revert or, more likely, die out. The game takes up in the far aftermath of those events. Few remain who remember the actual details of those days. Some planets and systems have managed to rebuild slightly,sustaining themselves at a considerably lower level. Now some have begun to travel out into the "wilderness" of space. They might be explorers, they might be searching for something their people needs to survive, or they might have other reasons. The PCs take up those roles. It is a classic motif- with the group heading out into the dangerous and untamed lands. In some ways, it feels like a mash-up of all the classic old-school games. Imagine throwing D&D, Boot Hill, Gamma World and Star Frontiers together. It’s a pitchable setting and a compelling idea with a lot of room for the GM to build to their ideas. That's combined with a simple, OSR-like system. A great game and it's free on RPGNow. 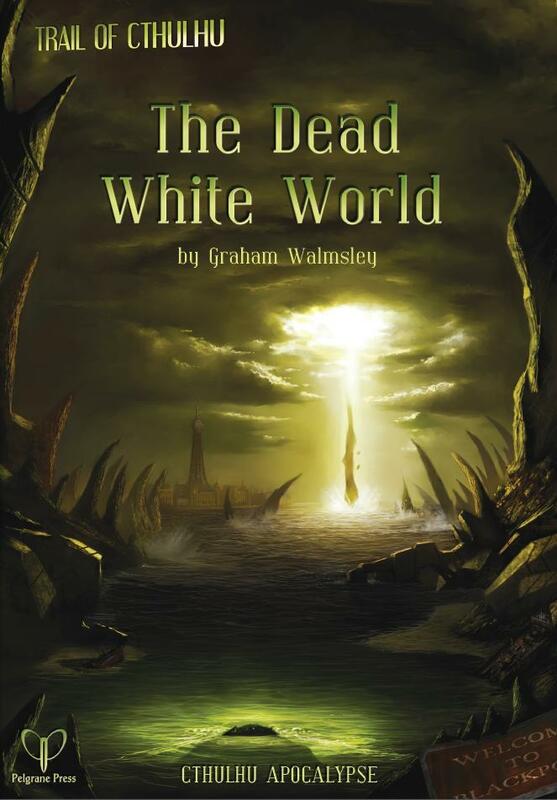 The Dead White World's the first Trail of Cthulhu module in the "Cthulhu Apocalypse" series. This adventures has the characters losing consciousness while traveling by rail in 1937 England. They awake to find no other living humans and a strange transformation of the countryside. It's now covered by white flowers bearing the faces of the dead. Rather than a conventional Trail of Cthulhu investigation, the players attempt to find out what has happened to civilization. The succeeding volume, The Apocalypse Machine, can follow up from The Dead White World or be used on its own. This volume offers a substantial toolkit for constructing your apocalypse. That begins with the GM determining the Cause, Disasters, and Casualties. From this they establish the campaign's tone via Adrenaline, Humanity, Time, and Weird. TAM has a useful toolkit for anyone doing Lovecraftian or other supernatural aftermaths. The book offers additional rules for running a survival-based ToC campaign, including measuring mechanical breakdown over time. Two new modes of play are presented: Aftershock, with the PCs dealing with the just happened disaster, or Wasteland, taking places years after. The final volume of the series, Slaves of the Mother, came out in 2014. These are well written adventures, as expected of Graham Walmsley. Recommended for anyone with a passing interest in these kinds of stories. A setting that echoes Infected, a game currently in Kickstarter. Civilization collapsed due to a zombie apocalypse. Generations pass and radiation-plagued survivors attempt to rebuild. 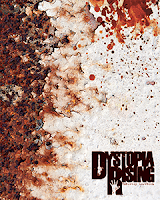 Dystopia Rising looks like a classic fallen America game, with an interesting twist to the background. It's unclear to me the impact the Z-pocalypse has on the present setting. Certainly it's shaped the formation of different power structures and groups. But I'm not sure what kind of undead, if any, still exist in the setting. The game, I think, grew out of a LARP. That's handled by the same company and seems to predate the tabletop version by a few years. Publisher Eschaton Media has supported the DR line with several regional supplements: Monoliths of Rust, Pillars of Dead Light, Echoes of Celluloid Dreams, Embers of the Irradiated West, Axis of Blood & Iron, and Diaries of the Rum Coast. Those might be useful for GMs doing a less fantastic US-based game a few generations after the fall, though they're about $15 each for around 100 pages. There's also a trilogy of novels also available. The core book pdf's priced high at about $20, so a paperback copy might be the more efficient option if you're really interested in the game. This goes into my Top Five Weirdest Apocalypses list. On the day of the Mayan Apocalypse, Dec. 22, 2012 manga characters emerged from the pages of their books, flooding the world and leaving Japan in ruins due to their actions. There's some weird tension between the "kakujins" dealing with the reality of their fictional origins and the "otaku" who possess knowledge of the stories and genres. Players play the former rather than the latter. I can't tell from the reviews if this is supposed to be comedic. I don't think so. It's a French rpg and info remains a little hard to come by. The line seems to be dead presently. Ludopathes released a demo kit as well as split Player and GM book in the classic fashion. Do you like gonzo? Do you like classic post-apocalyptic games? 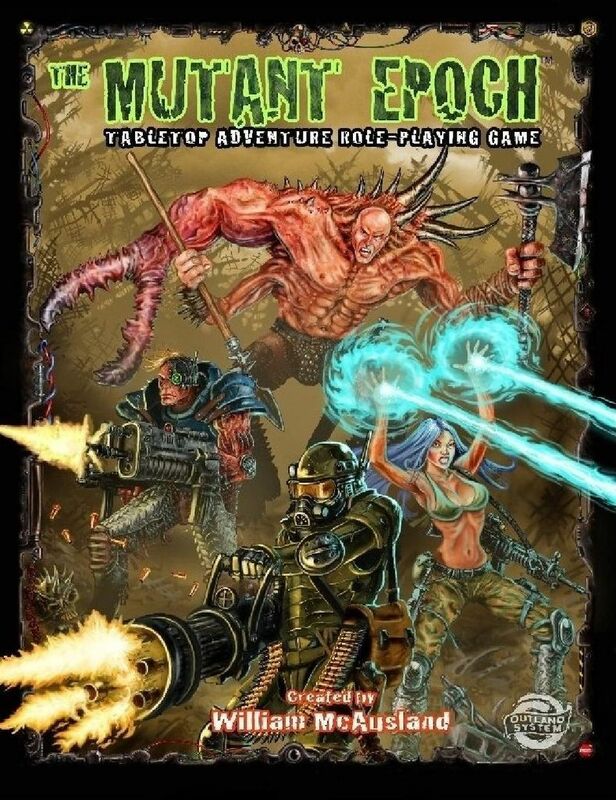 If so, I assume you already know about and own a copy of Mutant Epoch. This game blows me away on several levels, but let's start with the premise. We take up in the 24th century. Humanity hasn't collapsed in a single catastrophic event, but rather a series of continuing and devastating conflicts. So technology and science have developed in some places, while others have collapsed and become feral. At the same time genetic shifts and mutations created monsters and advanced humans. A final great war against artificial intelligence brought everything crashing down. That's nothing revolutionary, but it offers diverse options. It's a kitchen sink setting that feels right, and it reminds me most of a high weird version of Aftermath. The book discusses several ways to twist those events to reshape the campaign (more aliens for example). You know from the cover the kind of game you're getting. And that carries through in the tone, dense text, and consistent artistic style. Of course we're going to roll traits, of course hand dominance is a factor, of course I can be a Ghost Mutant. It's a crunchy system using all the dice and I kind of love it and its lists of mutations, relics, weapons, vehicles, and so. The previous year's Mutant Future is another game which comes close to this total package, but Mutant Epoch blows the doors off it. Outland Arts have supported the game with a huge number of products from sourcebooks to adventures to free pdfs. You really have to check out their website- the look and feel of it completely sells the game for me. You can even pick up a bundle of all of the pdfs for a slightly discounted price. I'm surprised I haven't seen more people talking about this game. If you like high, Heavy Metal weird post-apocalypses, should check this out. There's a ton of free and PWYW material available for it. A Polish setting book for Savage Worlds. The horrors of the ancient times and legend finally arise to destroy humanity. But humanity has armed itself with with power suits and plasma blasters. So the prophesied apocalypse has come, but it may well just get a boot to the face. Space Marines vs. Old One Zergs. There's a mix of corruption and political intrigue in there as well. So WH40K plus Call of Cthulhu plus Starcraft and on and on. Humanity has evolved and adapted with new genetic modifications to gain new powers and survive in hostile environments. It reminds me most of Mutant Chronicles, but with less gloom about humanity's final fate. This game originally won a setting design contest in Poland, though the sponsor apparently ran off with the money. The company released this core book as well as a couple of sourcebooks. Then GRAmel did an English translation 2013. They 've supported that with a number of pdf products and Nemezis: Galaxy, which expands and develops the setting. A French amateur PoD rpg. I normally wouldn't have this on the list, but the designer has released a ton of supplements for the line via Lulu. From my reading of Google translate, we have a fantasy setting where a clash between factions created new gods who seem to be leading things to the final days and the nothingness of destruction. The world's filled with multitudinous horrors, like oceans made of acid. Plus it has all the classic fantasy elements: elves, fairies, etc. The players are working to seize destiny and try to twist it somehow towards hope. The author's released a 300-page monster manual, 250-page Grimoire, and 400-page Atlas and more. That's impressive for someone who, as far as I can tell, purely self-publishes. Perhaps French readers might be able to shed some light on this one. So the Day of Rapture comes, but in 2644. The Earth burns, but of course much of humanity's off planet. The apocalypse cuts them off from the homeworld and from each other. Now the survivors not taken up by God's grace have to survive as Satan's Legions fly out into the cosmos in search of them. I have to admit I didn't see that coming. I've surveyed several theological horror games, but Rapture has a new spin, though one that doesn't exactly make sense to me (the creator's literalism seems odd). The game makes some pretty wide-ranging claims about what it does- a simple system with space combat, mass warfare, politics, minions, etc. The reviews I've seen have been generally positive. Another space-horror apocalypse game from this period, but one with a distinct twist. A nuclear war devastates a "Not Earth." Hundreds of years later, the survivors struggle and battle across the broken lands. And from time to time they dig up mecha, the Remnants of the title. The mecha are twice as tall as a human and self-repairing. Ownership of one grants massive power to tribes. What happens when they show up on the scene? There's a nice combination of fallen, scavenger society with these high-tech marvels. I recall that clash (and the associated technology use charts) as one of my favorite parts of early Gamma World. The game offers a streamlined system, called Rapidfire. Even the big ticket mecha, called Ishin, have only a modest write up and set of rules. That's good for someone like me who panics at number crunchy build systems like GURPS Mecha. Each character has an Ishin, which suggests some interesting choices about power and force for the group. 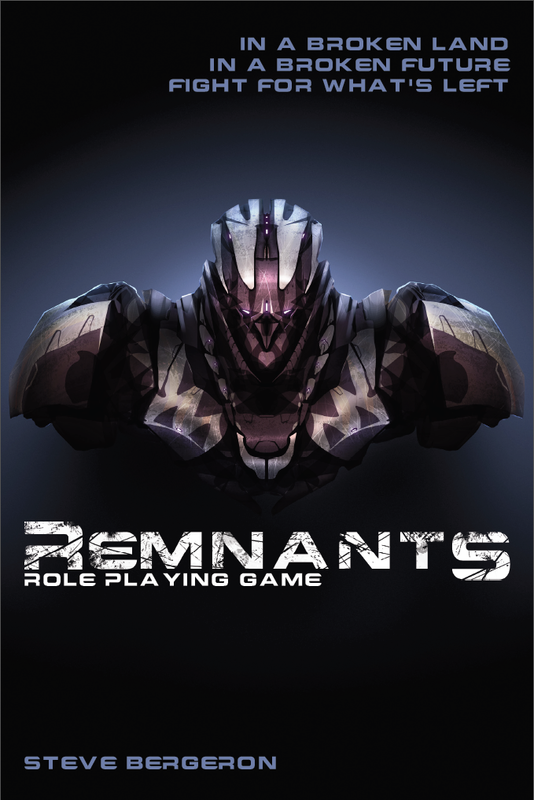 Remnants looks nice: great art and solid layout. The reviews are solid and they've supported it with a setting sourcebook: Remnants: The Broken Lands. This definitely goes to the top of my list for interesting settings. I'll be picking up the full game in the future. I don't LARP- but I admire the creativity and effort that goes into such games. The closest I've ever come to that has been an AMBER Diceless Role-Playing Throne race I ran with a large throng and the session of Grace Under Pressure I ran with several rooms. 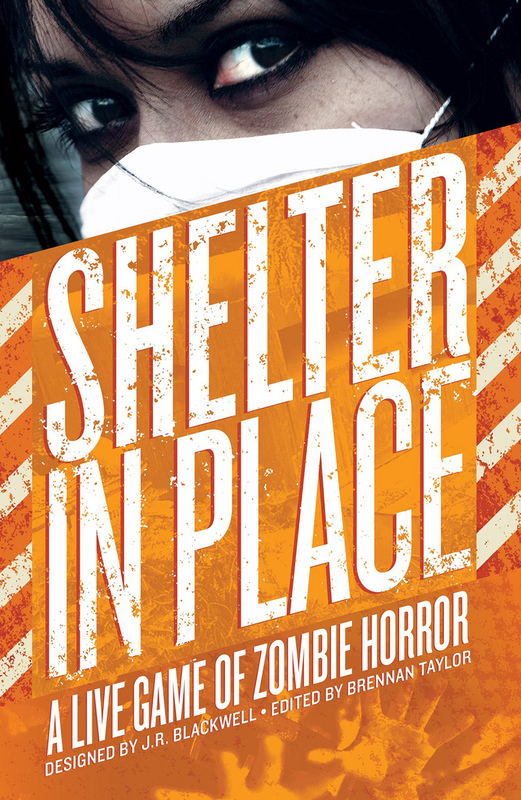 Shelter in Place is a LARP for playing out the zombie apocalypse. Players can begin as zombies or surivors. The game includes a mechanic for tracking and raising tension among the remaining humans as civilization crumbles. It looks like a pretty interesting and doable game. 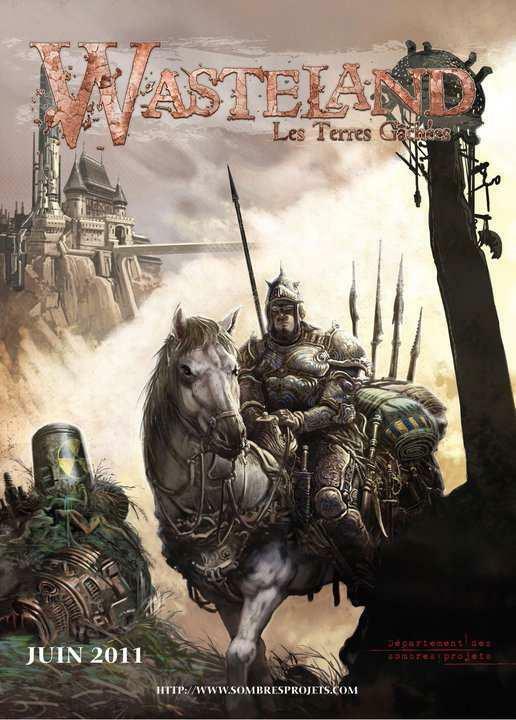 Wasteland, subtitled "Les Terres Gâchées" aka The Wasted Lands, is a French medieval post-apocalyptic rpg. But I mean figuratively medieval. It's weird. I kept thinking it was one thing and then it turned out to be another. So here's what I believe is happening: in the 22nd Century, humanity creates some kind of superior beings, called the Prodigies, via genetic engineering. Those beings in turn led to the creation of other races and then a series of wars which scorch the Earth. That knocks humanity back to the Middle Ages. This new world has rapacious warlords, dangerous contaminated areas, and beings resembling the monsters of myth. Add to that dwarves, goblins, psykers, old ruins, religious tensions, and the like. But then in the area of what was once Brittany, a new hero arises: a King Arthur who hopes to lead and rescue his people against mutants and villainy alike. I kind of don't know what to say about that. The Arthurian thing caught me off guard despite the title. Players run "Travellers" who move between the various kingdoms and may be associated with the aims of this uniting king. The game looks lovely and the reviews are generally positive, although some dislike the throwback nature of some of the races. They'd prefer less cliche and more elements reflecting the PA nature of the setting. 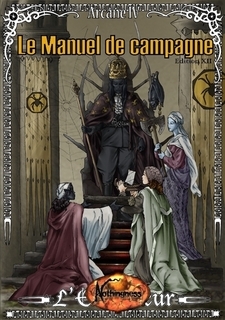 The company has continued to support the line with a GM Screen, a region sourcebook (Chemin des Cendres), a misc book with more psyker rules (Chants du Labyrinthe), and most recently Good Old Ingland which covers old England. There's a series of adventures running through each of those books. We've seen more French to English RPG translations in recent year. I spotted three forthcoming projects at Gen Con this year. I'm hoping this one might eventually see release as well. This year saw two post-apocalyptic sourcebooks for HERO system. The Wreck of the Alpha Centauri showcases the collapse of a massive "world city." Written for Star Hero 6, there's little in the way of discussion or commentary about it. The single DriveThru review gives it glowing praise as a chunky sourcebook. The publisher's blurb's equally scant. "Post-apocalyptic mutants, aliens, freaks, weirdos, dangers, and wonders abound" tells me very little. The book's 150+ pages and comes from Blackwyrm, who generally have provided supplements I dig. The cover art's simultaneously cheesecakey and generic. 3rd World also comes from Blackwyrm for Star HERO 6. The cover's equally weird, with CG art and the most cherubic Greys I've ever seen. Side note: clothing styles haven't changed two centuries. In 3rd World, humanity's been devastated by an alien invasion of a "Dark Alliance." Other alien races came to the Earth's aid, but in the centuries following humanity has been controlled by various alien rulers. That dramatically affected civilization and the planet itself. Now a new generation of heroes must raise themselves up from the ashes to explore the stars. I wonder if there's any real parallel between the fate of the Earth and colonial history. Is it just a touchstone or does the supplement make a serious attempt to engage that? A few interesting things fell at the margins- revisions, smaller supplements, or pdf only releases. 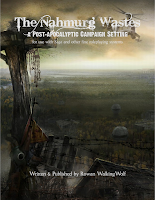 The Nahmurg Wastes is a campaign sourcebook for the Saga rpg. It aims to offer a Fallout-like backdrop for play.The Drowned Lands, for the Wordplay rpg, presents a sandbox setting built on the CC material from Deluge. Call of the Wild is a short, revised game detailing a world where humanity has devolved into animals. Totems of the Dead is a marginally post-apocalyptic two-volume setting. It's a Savage World product with a fantasy world torn by cataclymic events in the distant past. Darwin's World offered another SW release this year. It revised and condensed material from the setting into a tighter edition for this system, release as a Survivor's Handbook and Campaign Guide. Paranoia also saw something of a revision with the 25th Anniversary Edition. Technically it came out the previous year, but The Computer redacted it's own release date. Finally Ashen Stars has a strange and uncertain post-apocalyptic event in its history. Essentially there was a war against an ultimate interstellar foe who nearly destroyed everything. Apparently the good guys won. However no one can recall exactly what happened. That great big blank spots left for the GM to fill in should they desire. Untold is a card-based rpg without a core-book so far as I can tell. You can get the Untold Primer for free via DriveThru. It claims to combine the best of CCGs and RPGs, so I briefly flashed back to Dragon Storm. You can apparently buy character sets via DriveThru cards. 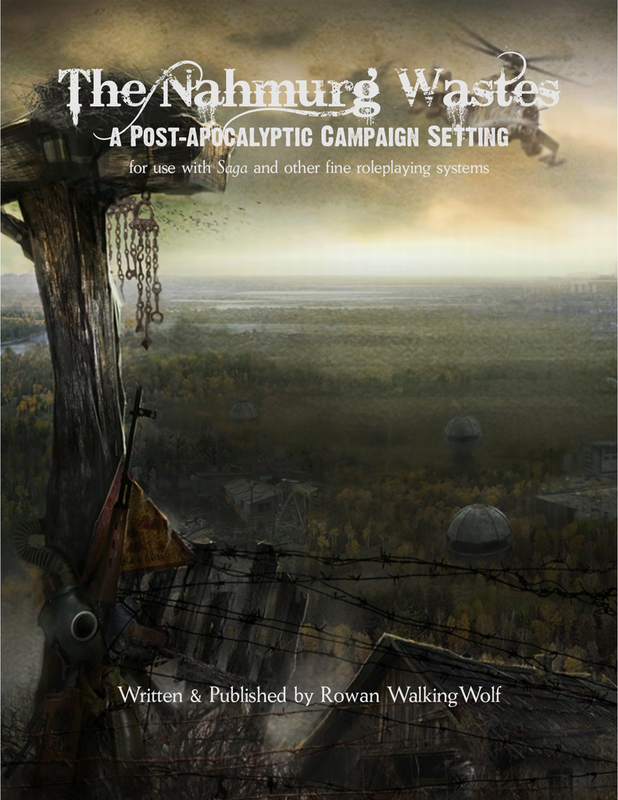 In any case in 2011, in conjunction with the release of the Primer, Ignitius Innovation also released two brief free Post-Apocalyptic encounter pdfs: A Road by Any Other Name and Into the Hive. Blood, Guts & Glory is retroclone with origins it coyly dances around. (spoiler: at least one of the parents is d20). The pdf's available for free online. The vast majority of the book's given over to appendices covering different character classes and spell lists, close to 180 pages for these. The setting is literally five pages in a 329 page book. It has a medieval post-apocalypse with a sterilizing plague. Then beast hybrid babies are dropped on doorsteps by animals. Humanity dies off leaving these new peoples in their place. Scientific progress, minimal as it is, has been lost, replaced with some magic (which looks a lot like D&D or RM magic). This is spartan book, with no real illustrations. The actual concept's interesting, but given almost no development. That's too bad. Then there's Chaos 6010 A.D. Allow me to quote from the designer's blurb for the game: "This gritty, street punk style RPG was intended for mature readers. Then people whined that it was too dark so I censored this version for the kids. If it's too dark, then get a flash light you p!@#$." This is an ugly game: weird layout, wonky art, and intrusive page backgrounds. Be sure to check out the downloadable preview from RPGnow. Far-future space post-apocalypse, ending up with a game that has more than a little of the smell of Warhammer 40K, but much more self-describedly edgy. The apocalypse appears to be in the far past, used mostly as a foundation for the universe being a terrible place.